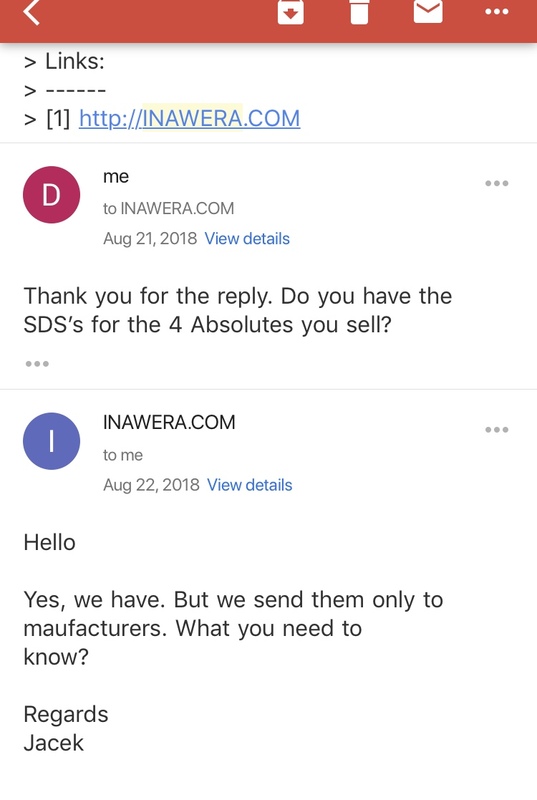 Has anyone of you Inawera’s SDS? I have 11 of them but not all. I want Flue Cured Tobacco flavor SDS. You could call or email them, they have to provide it. 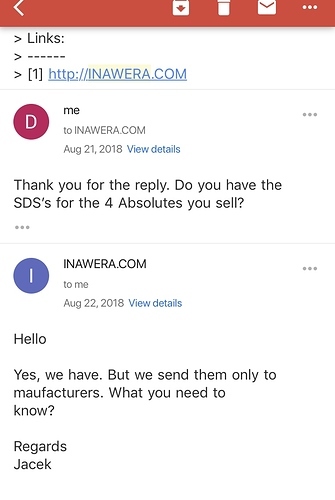 Inawera are pretty secretive with sds and I have never seen any. @Laberythm are you sure they are sds sheets and not msds sheets there is a difference. My understanding is the msds must be provided but not the sds. I would be happy to be proven wrong. Polish-originated, Inawera flavor concentrates were designed for vaping and are some of the best around! Try Inawera concentrates in your next e-juice! I have collect them from Nic River and maybe I can’t remember from other Vendors too. They call it MSDS but actual is SDS. I just email them! Hope they will respond after the weekend. Inawera responded to my email. They ask me what flavor/s MSDS I need and that they send them only through email. See it’s to easy, it’s not that anyone is hiding anything. It’s that sometimes all you have to do is ask for the info. I can’t find attached documents anymore in Nic River website. 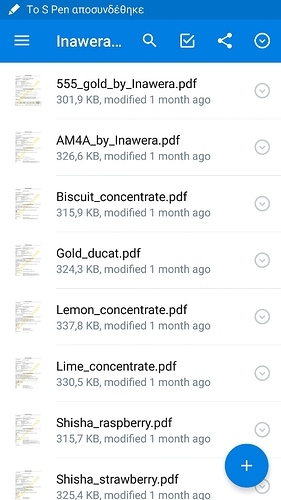 Is there any chance to share somehow the documents that you have already collected? Btw, I contacted Inawera myself in order to send me 3 that I want. How can we assist in keeping flavours up to date (and more DAAP details)? Thanks for the tip. I will collect whatever they have and keep it in mind for the future. From Inawera they replied to me within 5 minutes and sent me the documents that I asked. It is a shame that they don’t have these information available (like others like Flavorah, TPA, etc do). Wellcome to elr forum Niko. I have a collection in my dropbox but I don’ t know how to share this docs. It would be great if we can find a way to collect all of them in one place. I will give another try how it can be happen but I am not sure how. 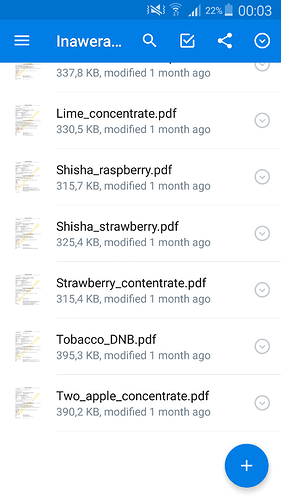 @Laberythm I have setup this folder in Google Drive where I have collected what I have so far from FlavourArt and Inawere. I’m pretty sure that you can do it in the same way or with Dropbox probably. Also, you may want to follow/comment this discussion: How can we assist in keeping flavours up to date (and more DAAP details)? Here you can find many more if you want. I’m not a manufacturer, and I wasn’t asking just to make sure they had them. I’ll email them again and be specific that I am requesting them and see what they come back with.